Hope you are having a wonderful beginning of the Summer. Most of the people think crocheting and knitting are more of a winter hobby, but we fiber art lovers know they are very wrong. 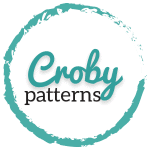 There is no bad time for a new crochet or knit project. 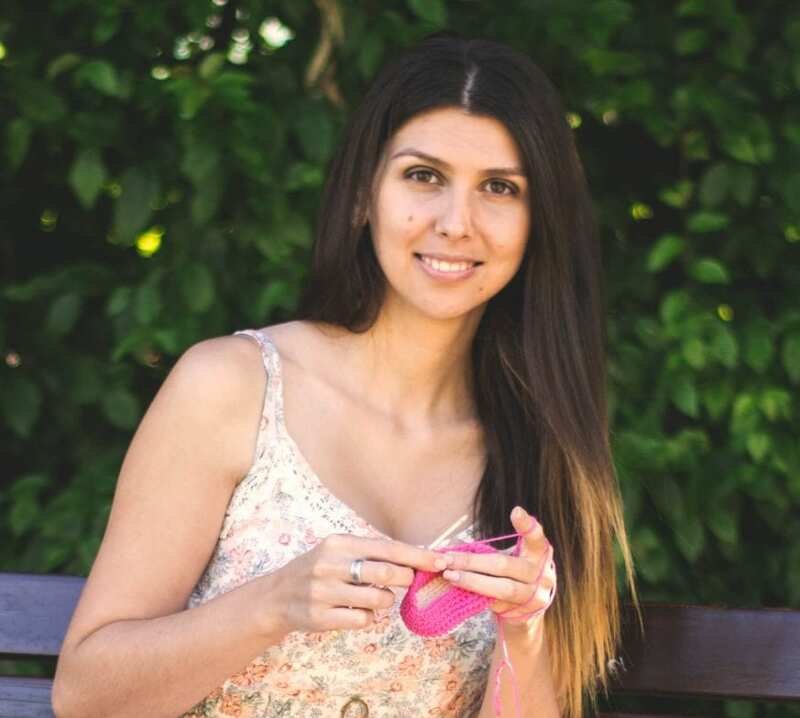 No matter if you are happy or sad, if there is snow, raining or even when the sun is shining with full power, the world is always better with your favorite crochet hook and some yarn. A few days ago I’ve created a pattern for small flat pineapple. Did you know that it takes three years for a pineapple to fully grow? Crazy right? This pattern is a very simple one. You will need Sport weight yarn in green and yellow. You can also use a DK or Aran yarn weight, but be aware that the size of your pineapple will be different. You will also need 3 mm crochet hook, yarn needle, scissors and a stitch marker. 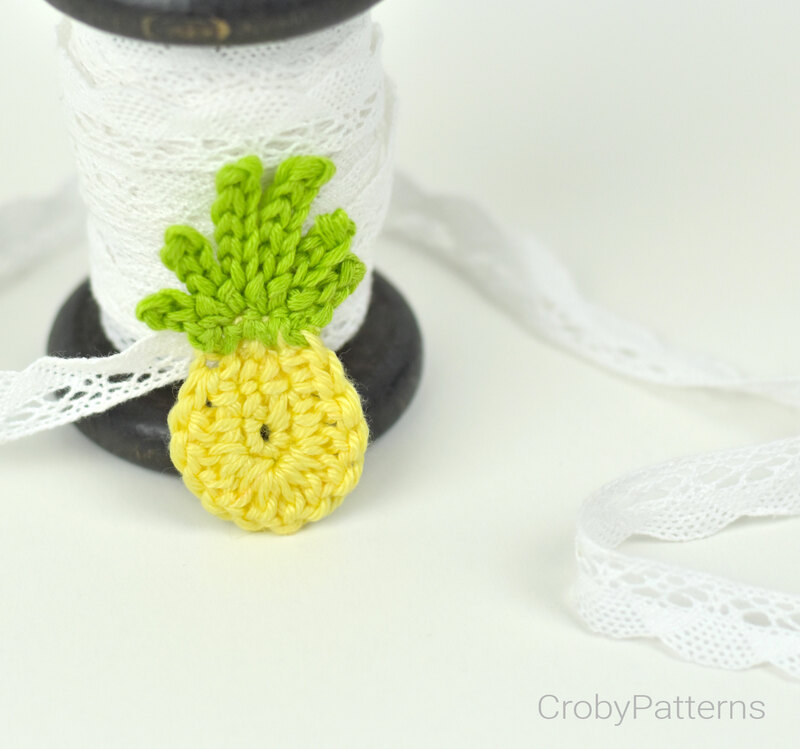 There is also a video tutorial for pineapple pattern available on my YouTube channel. So, if you like following video tutorials you should definitely subscribe there. Now let’s start with the pattern. Row 1: Start in the 2nd chain from the hook. Work 1 sc into next two st. Work 5 sc into the next one. Work on the opposite side of the chain. Sc into next 2 sts. Ch 1. Turn. Row 2: Sc 1. Hdc 1. Dc 1. Work 2 dc into the same stitch. Work 4 dc into the same stitch. And work 2 dc into the same stitch. Dc 1. Hdc 1. Sc into the last one. Fasten off. If there are any big holes left between the stitches, just take a needle and some yellow yarn and sew then together. Start on the top of the pineapple body. Work with green yarn. Row 1: Sc 4. Turn. Ch 3. Start in the 2nd chain from the hook. 1 ss into next 2 ch. Work 1 ss into stitch 4 (picture below!). Ch 4. Start in the 2nd chain from the hook. 1 ss into next 3 chains. Work one ss into stitch 3. Ch 6. Start in 2nd chain from the hook. Work 1 ss into next 5 chains. Work ss into stitch 3 again. Ch 6. Start in 2nd chain from the hook. Work 1 ss into next 5 chains. Work ss into stitch 2. Ch 4. Start in 2nd chain from the hook. Work 1 ss into next 3 chains. Work ss into stitch 2 again. Ch 3. Start in 2nd chain from the hook. Work 1 ss into next 2 chains. Work ss into stitch 1. Leave long tail for sewing. Take your yarn needle and go through the sc row. Turn on the other side and do it again. 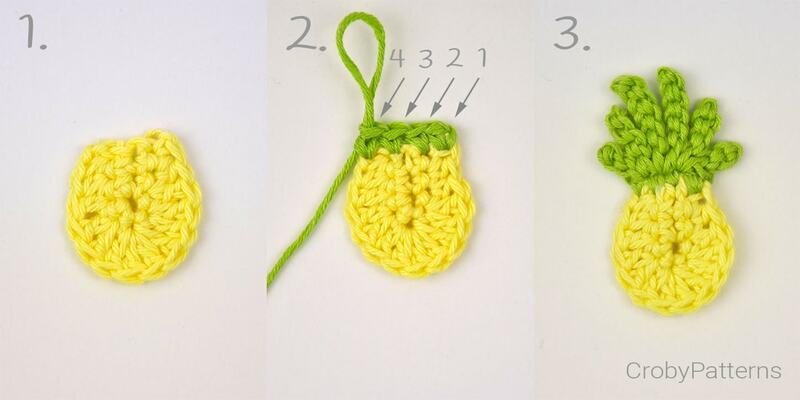 Now pull the yarn a bit so you will get a nice shape of your pineapple and secure the yarn. I love pineapples thanks for this pattern it is so cute can’t send picture.